So this is a Big month for the Ireland Chapter as we have our national conference in the Aviva. It’s the BIGGEST Annual Project Management Conference in Ireland and it’s on for the full day ... See More of Thursday 26th April. The Theme is ‘The Change Makers’ where we discuss managing, driving and achieving change! 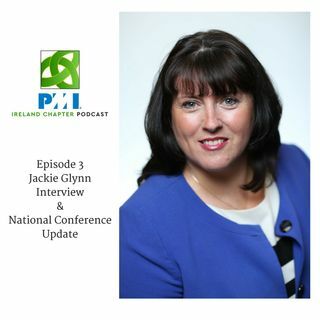 So, this month, I talk with Jackie Glynn, the PMI Vice President of the Chapter. Jackie has been a member of the Chapter since the late 1990's. We chat about her career in project management and how her involvement in the Ireland chapter has been of value. Lots more covered in the ten minute Q&A. I hope you enjoy it!